At one time, a Cesarean delivery ended any chance of future vaginal deliveries for a mother-to-be. But thanks to advances in surgical procedures, a vaginal birth after C-section (VBAC) is feasible in many cases. Statistics show that around 75 percent of women who try VBAC have a successful delivery with no complications. However, VBAC isn’t right for every woman, as risks to both mother and child, while minimal, are still present. The American Congress of Obstetricians and Gynecologists (ACOG) recommend that a VBAC only take place in a hospital where obstetricians have access to anesthesia and are able to perform an emergency C-section, if necessary. Though risks of complications are low, approximately 0.8% of women attempting VBAC may suffer a ruptured uterus – a potentially fatal complication for both baby and mother. Sadly, some of these babies will die or experience severe brain damage in the process. For this reason, a vaginal birth after Cesarean has been the topic of heated debate within the medical community, as questions have been raised over the safety and risk factors for uterine scar rupture and fetal neurological impairment. If VBAC is chosen as the preferred mode of delivery, the woman’s OBGYN team must be fully prepared to respond to a uterine rupture or symptoms of fetal distress. If they fail in this critical responsibility, they may be held liable for any injury or death they cause. While advocating for the rights of birth injury malpractice victims throughout the United States over the past four decades, the law firm of Eisbrouch Marsh has cultivated a deep understanding of the standards of care that apply to VBAC cases. Our team of birth injury lawyers are aided by in-house medical experts when researching the circumstances of any potential claim, and are committed to securing justice for both mother and child. Using our extensive legal and health care expertise, we provide clients with the type of representation they are counting on to obtain maximum compensation and hold negligent parties accountable for their actions. The primary concern with VBAC is that in some rare cases, the previous uterine scar can rip apart during labor, ultimately resulting in injury or death to the fetus. Research shows that the risk of uterine scar rupture increases to about 1 percent in women who are administered Pitocin during labor, assuming the woman has a single low transverse Cesarean scar. The risk for uterine rupture increases among women who have low vertical scars (1-3%) and is even greater with high vertical scars. When uterine rupture does occur, 80 to 90 percent of women can have an emergency C-section and deliver an unharmed baby, but up to 20 percent of cases end in fetal injury or death. A Cesarean delivery carries its own latent risks (including hemorrhaging, blood clots and anesthesia mistakes), but these may be deemed more predictable, unlike those associated with sudden uterine rupture. Uterine scar rupture during a VBAC can occur without any warning, and may be more likely in some women depending on the placement and length of their original C-section scar. Women who suffer health conditions that might affect a natural delivery or those who experienced uterine rupture during a prior pregnancy are not good candidates for VBAC. This method is also not indicated for women who’ve had a vertical C-section incision — the type of scar that is most likely to rupture during labor. 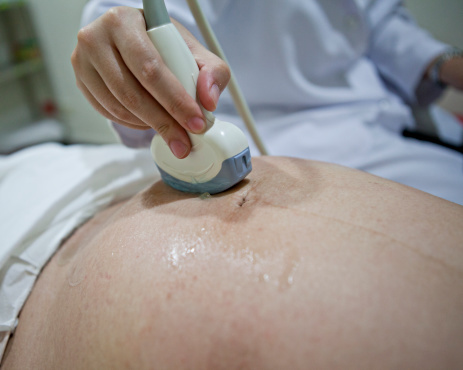 Regular fetal monitoring and the availability of an emergency C-section by health care professionals are paramount to avoid serious complications during VBAC. Uterine infection – If a woman is forced to undergo a repeat C-section after vaginal labor has begun, she has a slightly higher risk of complications like uterine infection. Uterine rupture – Presents life-threatening complications for both mother and baby, including blood loss, infection, birth injury and death. The consensus among most medical professionals is that VBACs pose greater risks when compared to routine vaginal deliveries. In some cases, those fetal and maternal risks were not properly assessed or managed during the time of labor. If you have suffered injuries related to uterine scar rupture, or your child sustained brain damage following a vaginal birth after C-section, your delivery room team may be held liable in a court of law. Eisbrouch Marsh has a long track record of winning cases and negotiating multi-million dollar settlements, helping victims recover the compensation to which they are entitled. To learn more about your options for pursuing a medical malpractice lawsuit, please call our offices for a free case evaluation. We work on a contingency basis, meaning there are no upfront costs unless you win your case.